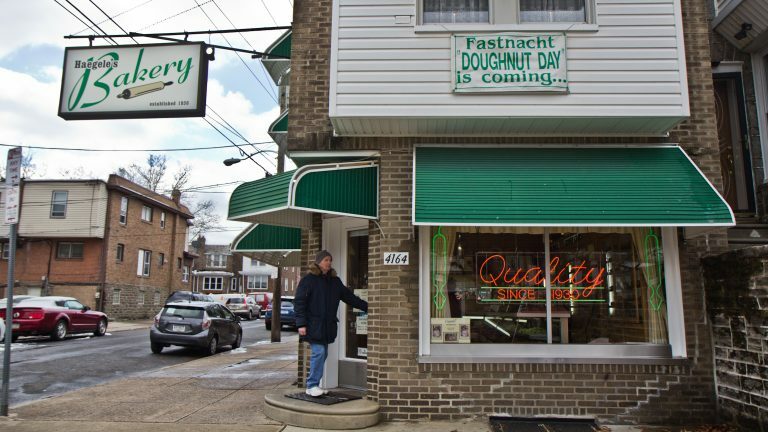 Hundreds of people are expected to wait in line outside a Northeast Philadelphia bakery Tuesday for German donuts called fastnachts. Haegele’s Bakery serves these lightly fried, diamond-shaped doughnuts, dusted with cinnamon or powdered sugar, just two days a year in honor of Mardi Gras or “Fat Tuesday” — the traditional Christian day of feasting before the fasting season of Lent begins on Ash Wednesday. 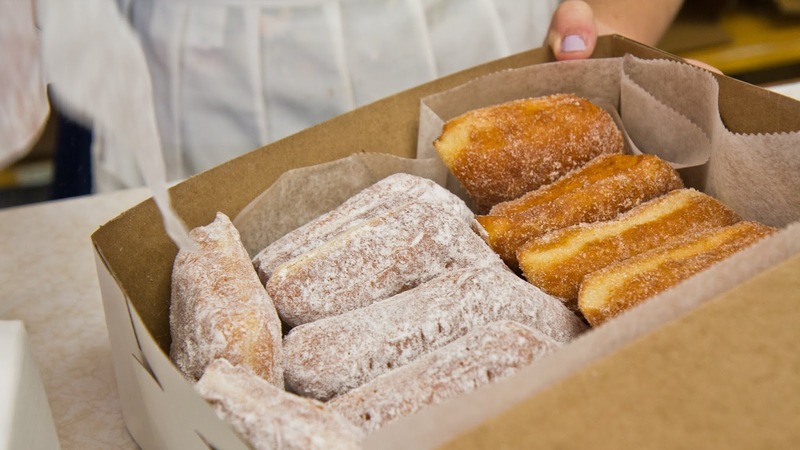 Many cultures celebrate this tradition with fat-fried dough, and the German fastnacht has been a staple at Haegele’s Bakery, founded by German immigrant August Haegele in 1930. Cheryl Haegele, who is married to August’s grandson Glen, said her husband baked nonstop Sunday into Monday. Haegele and two other women manning the counter Monday afternoon took orders in traditional German dresses while German music played in the small space. In Germany, Haegele said, feasting can last up to a week. 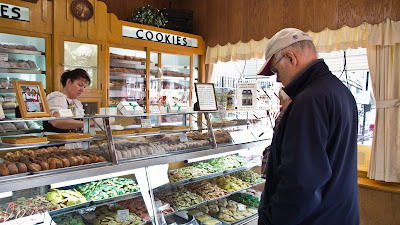 At the bakery, the celebration lasts two days. “But Tuesday is the big day, it’s the final day,” she said. “They have a little crunch on the outside, but are really moist and tender,” said Connie Nowicki, who came from Philadelphia’s Bridesburg neighborhood to get her fastnacht fix. Nowicki describes the doughnuts as plain on the inside, covered with a hint of sweetness. Though it sounds like a simple recipe, these hand-cut doughnuts are a time-consuming enterprise. Haegele said the bakery begins to prepare a month in advance. About 2,000 white cardboard boxes are ordered and folded, and flour deliveries come in installments. 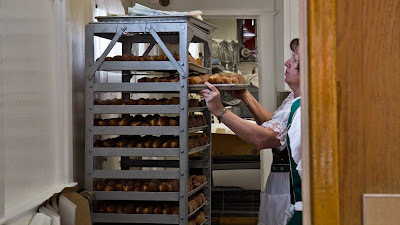 Bakers begin working the Sunday evening before the bakery’s fastnacht celebration — and it’s four hours before a batch of doughnuts is ready to be topped with sugar, Haegele said. 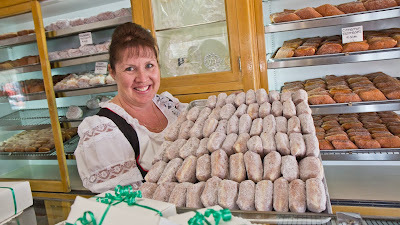 Doris Reithmeier and her family used to make their own fastnachts, but she said it’s much easier to buy them. She’s come to Haegele’s for 60 years. “Our children just love them, and it’s just a family tradition now that we come, everybody just enjoys them,” said Reithmeier, who bought eight dozen to share with her family. Joseph Zielenbach of Bustleton said he doesn’t keep many German traditions, except for fastnachts. “It’s a tradition since I was a little boy. 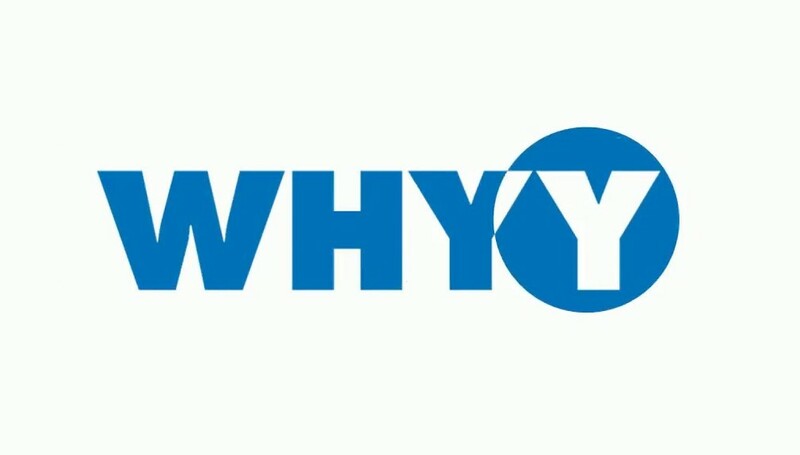 My father had come from Germany, and that’s one of the traditions that he would keep up,” he said, adding that he makes sure to buy some for his older children. Christian Schmid also has German roots and has been coming to Haegele’s for 30 years. “To have a German bakery in this area for as long as they’ve been here, it means a lot,” he said. Many customers with German ancestry say just waiting in line at the bakery for fastnachts is a tradition itself dating back to their childhoods. Rose Harris and her 5-year-old daughter, Sparrow, plan on making fastnachts a tradition of their own. They’ve been coming since Sparrow was born and the two-block trip helps connect them to their German heritage. “We love anything German that we can do, and these are the best fastnachts we’ve ever had,” said Harris. Walter Hauser came a day early from Bucks County to beat the crowds.